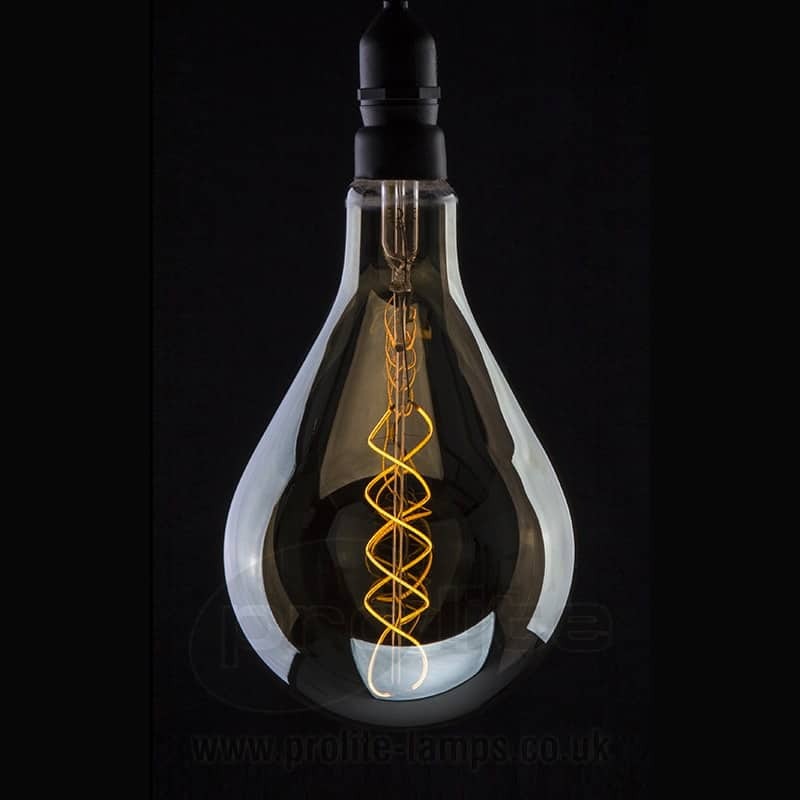 The Funky Filament range by Prolite Lamps comprises of a wide range of LED filament lamps offering attractive LED replacements for traditional filament bulbs. 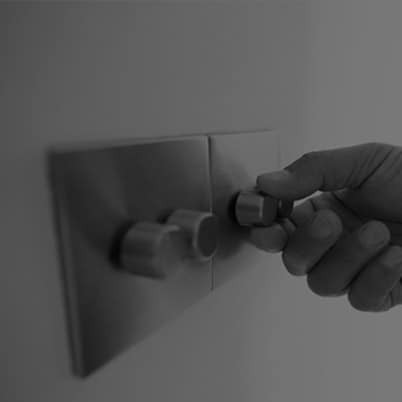 This range of low energy, high performance and aesthetically pleasing lamps can be used in many existing fittings and applications. All lamps offer an exceptionally long life and good colour rendering. 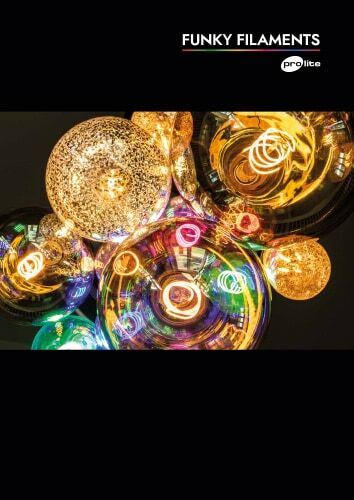 The range includes smooth dimming, coloured spiral, 2200K really warm colour temperature, Gold Tint, Smoked tint and crackle effect to enhance any application and create a unique lighting design. Create a retro ambience and unique effects with Dimmable Smoked glass Filament lamps in Globe and Extra large Globe and Pear Shaped glass envelopes. Fully dimmable LED filament lamps are perfect energy saving solutions for chandeliers, traditional style and decorative light fittings on existing dimming circuits. 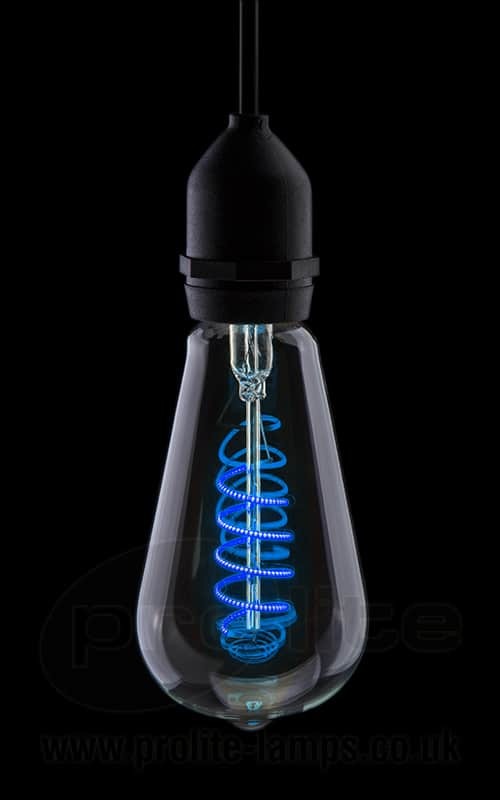 The Funky Filament Coloured Lamp range of ST64 Squirrel Cage and T45 Tubular lamp shapes takes LED coloured lamp options to a new level combining both style and performance in a unique exposed spiral filament. The wide range of colours available enable almost any coloured effect to be created and wide ranging 110-240V input ensures they can be used in many applications including events. The Crackle Effect LED filament lamps give an attractive light with interesting shadows to create a unique light effect. 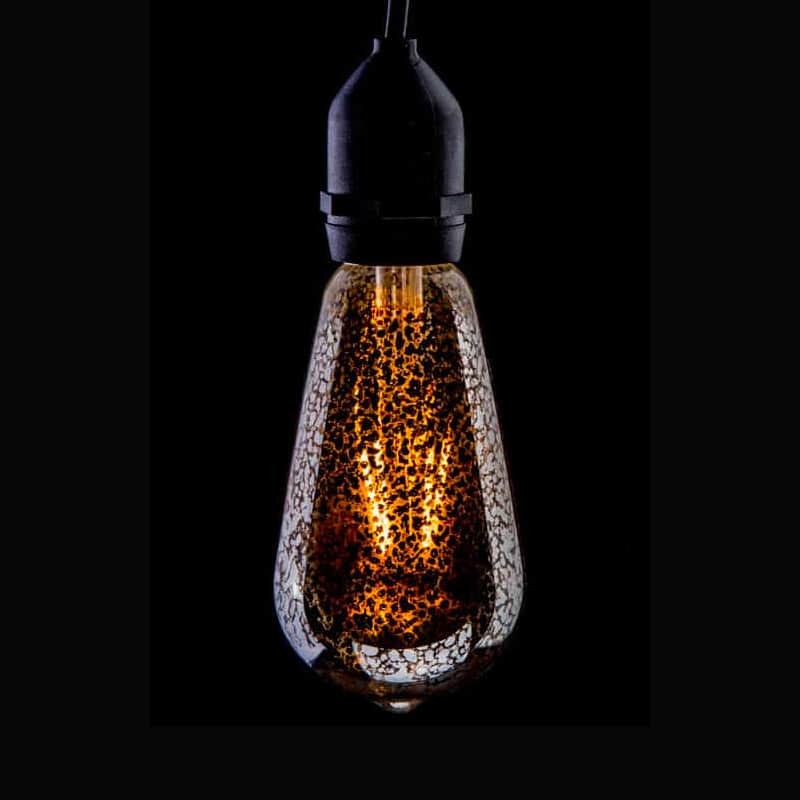 The range includes ST64 Squirrel cage lamps and Globe lamps and are popular replacements in decorative or vintage light fittings. 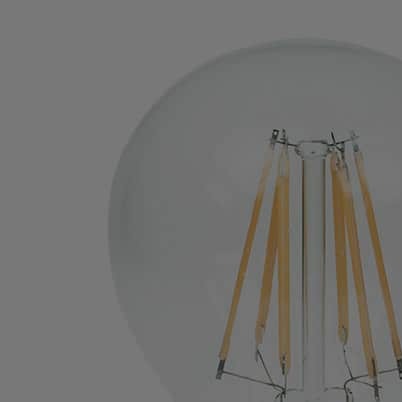 The Prolite Standard LED filament lamp range offers perfect low energy replacement for all domestic applications, hotels, restaurants and all decorative applications at excellent value for money.